Our mission is simple and a little bit old fashion. We make you feel comfortable from the moment you call us, throughout the process and at the time you pick up your vehicle. Earning your business is very important to us. It keeps our core values strong, and strengthens our community. We are ASE Master Certified and we continue our education to keep up with the never ending demand of technology that is incorporated into our vehicles today. We are conveniently located in South Jersey, close to all major bridges into Philadelphia. Your insurance agent may estimate repair costs and leave the decisions with you. 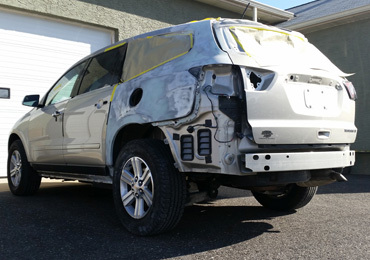 The prospect of dealing with multiple auto body shops can seem a bit intimidating. Make Jersey Auto Body your first call. We will work with your insurance company to make your auto problem as painless as possible. Throughout the time my car was being repaired, the folks at Jersey Auto Body kept me up to date on my car's status. In fact, they encouraged me to call anytime I had questions or concerns. Not only was I pleased with the candor and friendliness of their staff, but also the quality of work they performed. My experience at Jersey Auto Body was a great one. They were professional, courteous and gave us a competitive price. The quality of work was top notch and surpassed my expectations!!! Great service, Great price, Great quality. Jersey Auto Body repaired the damage to my car in a very timely manner. It was definitely a first class job! The damage was repaired so that it looked brand new, even better than before.